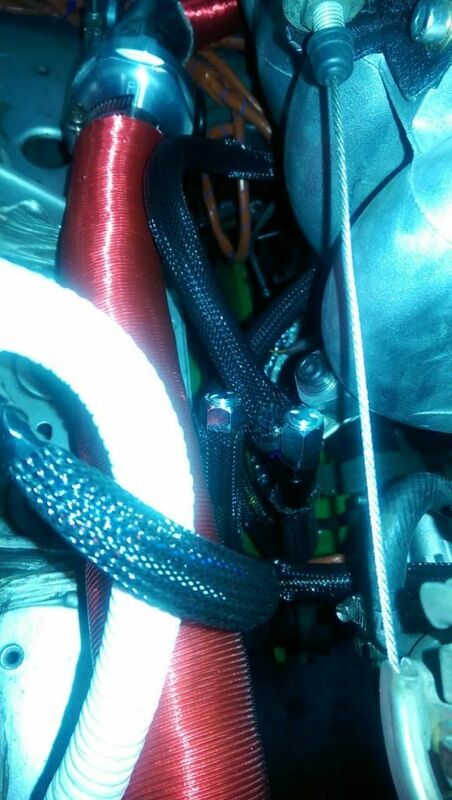 Who's car passes visual with modified fuel lines/rail. How about cops? How about adjustable cam gears under an aftermarket cover? I was thinking with my AN fuel lines which connect to the hard lines and then to the dual feed rail I could get away with tossing wire loom over all the fittings/hose and some electrical tape, maybe even disconnect one end of the rail and cap that side off. I'd rather not remove the rail since all of the seals/o-rings ect are new & leak proof now and I would also have to remove the AN compression fittings off of the hard lines and reinstall later. You can pm me with "advice" . Well the gears being exposed won't but if you have a uncut cover so they can't see them you'll be fine. Assuming you leave them at 0 so your timing is correct. I on the other hand have a CF cover which will be covering them up but would lead them to think it's there for a reason other than aesthetics. But the shop down the street said if they can't see them then they don't know. um...star smog? depends on the tech. 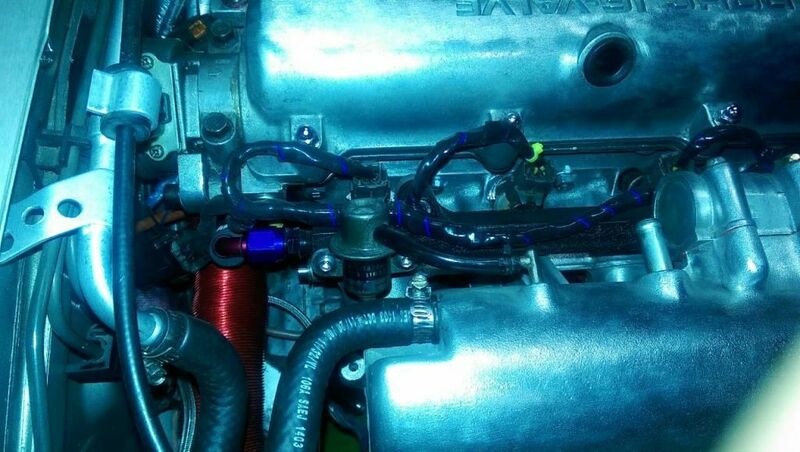 The injector harness throws me off a bit and the AN fitting (hell no!) or at least that's what I think...Unlike another person, I know AN = screams modified!!!! Tone down the colors. That red pipe cover really clashes with the blue. Dead give away.